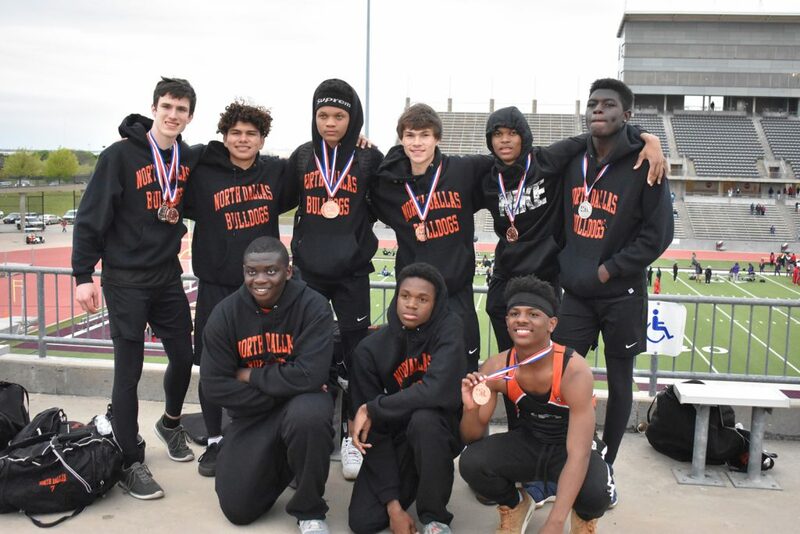 The team photo from the meet included (front) Bilar Rasool, Sean Trimble, and Michael Johnson; (back, from left) Conner Wester, Jose Luis Valenzuela, Marquez Frost, Sonnie Mathis, Chandler Deveaux and Mohammed Bility. 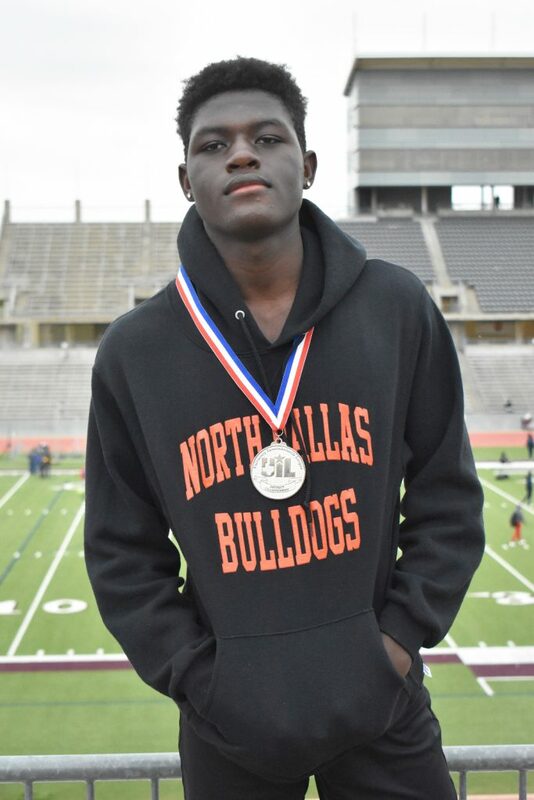 After competing in the District 12-4A meet last week, North Dallas will be sending several athletes to the area round, including girls shot put winner Ruzaan Mare, hurdler Mohammed Bility, long jumper Conner Wester, and triple jumper Marquez Frost. The North Dallas boys and girls team each finished in fifth place at the District 12-4A tournament last week. The boys team standings included 1. Carter, 223 points; 2. Lincoln, 108; 3. Wilmer-Hutchins, 87; 4. Roosevelt, 86; and 5. North Dallas, 51. The girls team standings included 1. Lincoln, 239 points; 2. Carter, 178; 3. Wilmer-Hutchins, 50; 4. Pinkston, 45; and 5. North Dallas, 25. 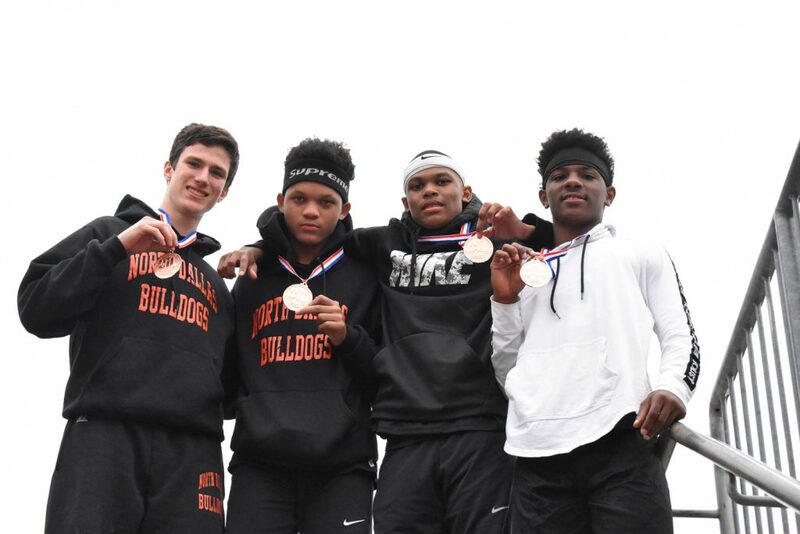 The North Dallas 4 X 200 took fourth place. The runners include Conner Wester, Marquez Frost, Chandler Deveaux and Michael Johnson. 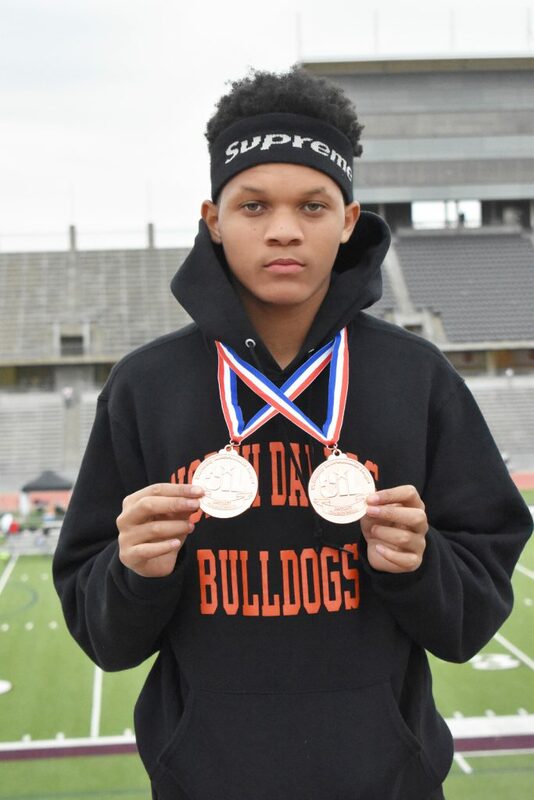 Marquez Frost won medals in the triple jump and boys 4 X 200 relay. 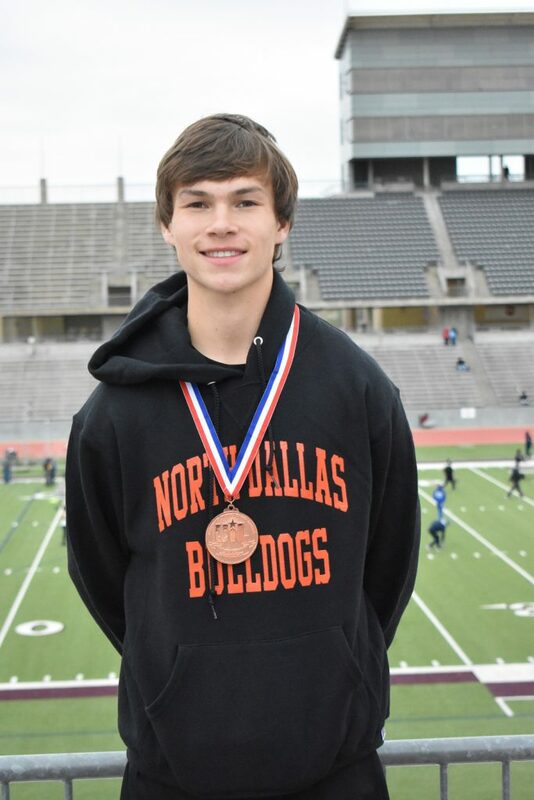 Conner Wester displays his medals in the 4 by 200 relay and long jump. 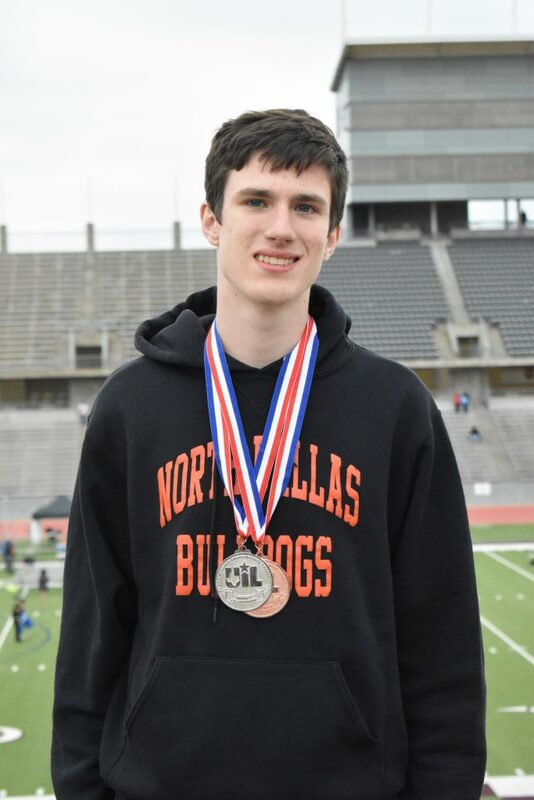 Sonnie Mathis displays his medal in the 800-meter run.